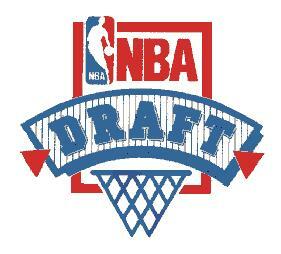 (Photo Courtesy of The Hoops Report) Upcoming 2013 NBA draft logo. There’s going to be lots of young talent entering the NBA draft for the upcoming season. Here are the first 5 who are going to get drafted. 1. Orlando Magic: Ben McLemore, small guard from Kansas, who can knock down shots. 2. Charlotte Bobcats: Nerlens Noel, power forward from Kentucky. Noels could provide a huge upgrade defensively for the Bobcats. 3. Cleveland Cavaliers: Otto Porter, small forward from Georgetown. Porter does a little bit of everything and will be a good addition for the Cavaliers. 4. Phoenix Suns: Anthony Bennett, small forward/ power forward from UNLV. Bennett has great length and could be a 3 in the NBA. 5. New Orleans Pelicans: Trey Burke, a point guard from Michigan. Burke is a good scorer and distributor.